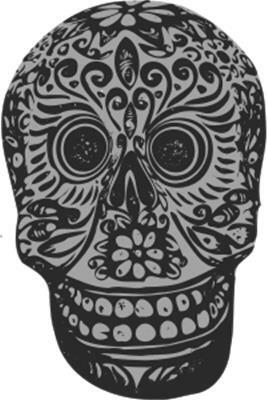 Calavera is Spanish for "skull." The name was chosen to reflect a walking skeleton, which is an important concept in Agile development. More on the choice of imagery. Manos ("Hands") - the first subproject, a Vagrant-based virtual appliance for test driven development using git, Java, Ant, JUnit, and Tomcat. Espina ("Spine") - a subproject to integrate a DevOps build and deploy toolchain including git, Jenkins, and a package repository, integrated with Manos. Brazos ("Arms") - a simulated build environment (consistent with Manos and Cara). 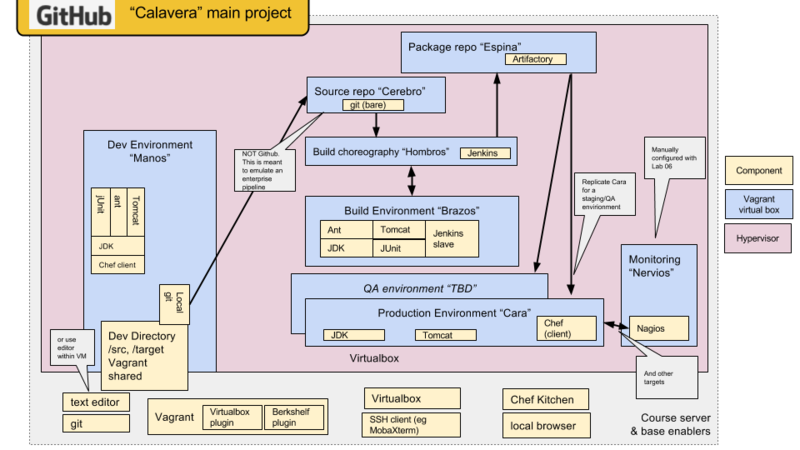 Cara ("Face") - a simulated production environment (Java/Tomcat). The pipeline supports multiple projects. The first project is named "Hijo" (boy). Others may be named "Hija" (girl), "Gatito" (kitten), etc. At this point, the projects are more or less equivalent to products/services.